Sonja’s story is one of hope and a transformative journey. It is a story of a mom and her three children who found themselves literally living in a car … right here in Greenville. 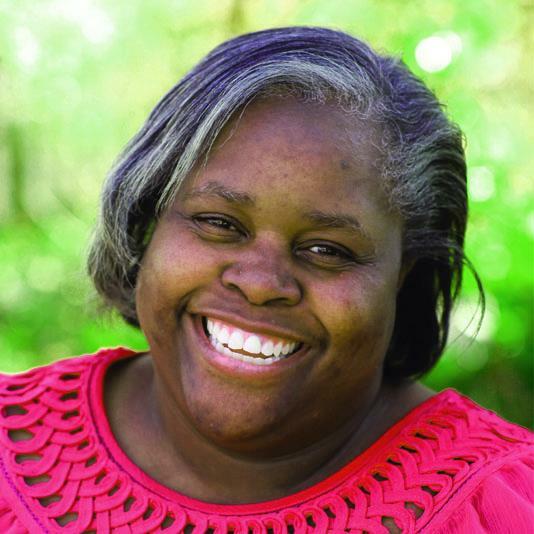 Uncertain where to turn for help, providence brought her to the Greenville Area Interfaith Hospitality Network (GAIHN). The volunteers and staff at GAIHN provided shelter and meals for the family as they worked with Sonja to determine the best ways to get her on her feet again. This process led to temporary housing and a referral to United Ministries’ Employment Readiness program which assists qualified participants in obtaining a job and promotes financial stability and self-sufficiency. United Ministries’ staff and volunteers helped Sonja develop the skills she needed to pursue employment, provided resume assistance and job leads, and offered strong encouragement. Through her hard work and the support of others, Sonja earned a full-time job and moved her family into their own apartment, providing stability the family desperately needed. She now proudly tells of her oldest daughter’s success recently acquiring a master’s degree and how her two youngest children are enrolled in college and working to obtain their degrees. Sonja needn’t actually even verbalize how her family’s successes makes her feel as hope and joy emanates from her and a frequent radiant smile conveys it well. In a few short years their futures have been transformed. Sonja’s story epitomizes a core concept that courses through all of the important work done by GAIHN and United Ministries — we can do more together. Both agencies are focused on finding solutions to poverty, and doing so in a way that calls together the energy and goodwill of people from a multitude of faith communities, corporations and community organizations and provides a way for those people to work side-by-side toward a common purpose. In fact, the very purpose of our agencies, the reason they exist, is to do what any solitary individual, any one congregation or any single community group alone could not do. There have been many, many people like Sonja over the years whose path to financial stability has led them through both GAIHN and United Ministries. It makes sense that families who find themselves experiencing homelessness are very likely to need an array of resources to get back on their feet again. GAIHN provides the stability necessary for people to focus on something more than the crisis of the day. In addition to emergency assistance and a homeless day shelter, United Ministries provides the guidance and support that people need to complete their GED and find employment that can support their transition into more permanent housing. After years of partnering, our volunteer and staff leadership teams have recognized that as agencies offering life-changing opportunities – we can do more together! Effective July 1, 2016, United Ministries and GAIHN will join our organizations together, growing our capacity to serve those in Greenville who are striving to achieve self-sufficiency. As a result of the merger, services for the homeless and others striving to emerge from poverty will be more easily accessible and delivered in the most efficient and least costly manner possible. The joining of the agencies will maximize the resources of those who provide support for the important work of GAIHN and United Ministries. It will also lead to an increase in the number of lives transformed, which will strengthen our community as those we serve thrive here. We are excited about the opportunity to align our work to make an even greater impact in the Greenville community with the resources we share. We are eager to play a part in more stories like that of Sonja and her family.